Coakley & Williams Construction, Inc. is excited to wrap up Women in Construction Week 2018 with a day of service called SheBuilds. 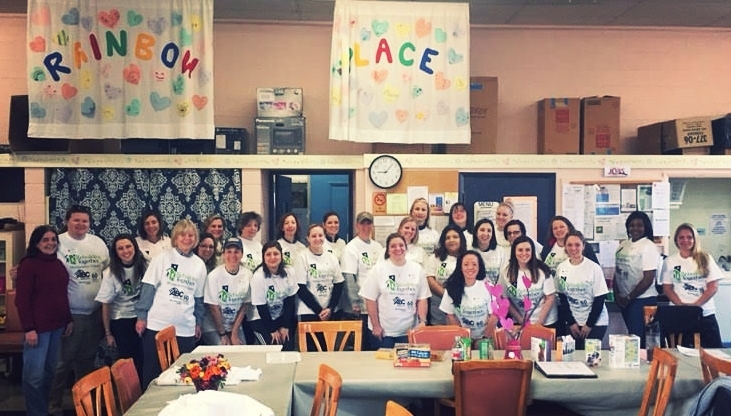 Female colleagues are volunteering, in partnership with ABC's Women Building Washington and Rebuilding Together Montgomery County, to make a difference for local low-income, women-led households by raising support for and executing a hands-on project led by and directly benefitting women. SheBuilds, a national movement, aims to bring together female leadership transforming neighborhoods into thriving places to live and grow. The annual volunteer event supports low-income female homeowners by creating safer and healthier homes. It also provides females in the construction industry with a meaningful, hands-on opportunity to give back to their local communities. This year's event occurs at Rainbow Place, an emergency shelter for women in Rockville, Maryland. Volunteers will be painting, repairing and replacing doors, installing shelving systems, helping with general organization and performing other tasks as needed. The mission of Rainbow Place is to provide women with emergency overnight shelter during the cold winter months and assist them as they transition to a better quality of life.